Last week, the lights came on. I live in Sierra Leone, West Africa, where the Bumbuna hydroelectric project has just been commissioned by the country’s President, Ernest Bai Koroma. The project, started in 1975, is providing the country with an almost uninterrupted electricity supply, although it will not operate at full capacity for many years to come. Sierra Leone’s energy problems are by no means solved by Bumbuna. The capital city’s existing transmission system is woefully inadequate to cope with the unstable surges of power. The network is yet to be expanded to many regional towns and rural areas. The logistics of billing consumers and collecting revenue will challenge the National Power Authority. The resettlement of those whose homes were demolished for the construction of the dam and its infrastructure is yet to be resolved. Scott Jiusto, in his chapter on Energy Transformations and Geographic Research in the Blackwell Companion to Environmental Geography, writes that “energy underwrites developmental aspirations”. 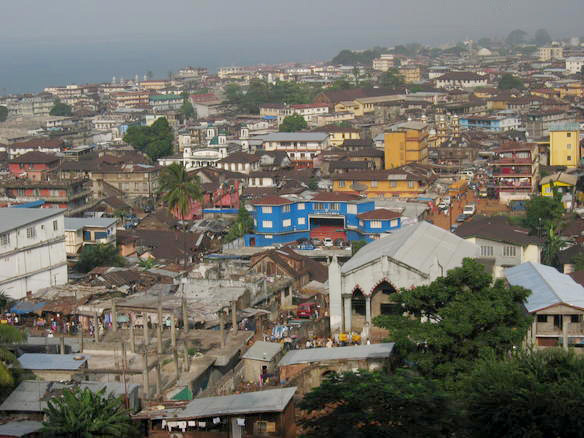 The people of Sierra Leone have patiently aspired for a reliable electricity supply for over 30 years. It is not surprising, then, that there were scenes of jubilation last week when the lights finally came on. Reliable power is the foundation for economic and social development; let us hope that the government of Sierra Leone now embrace the new energy to bring growth and prosperity to the country’s people. This entry was posted in Uncategorized and tagged Development, Electricity, Environment and Society, hydro power, Hydrology and Water Resources, Sierra Leone, West Africa on November 18, 2009 by jclunn.